Roatan doesn’t have fast food chain restaurants. This island must be one of the few places on Earth without a McDonalds shining obscenely above all other buildings. There isn’t a single KFC, Taco Bell, or Burger King in sight. And we love that! 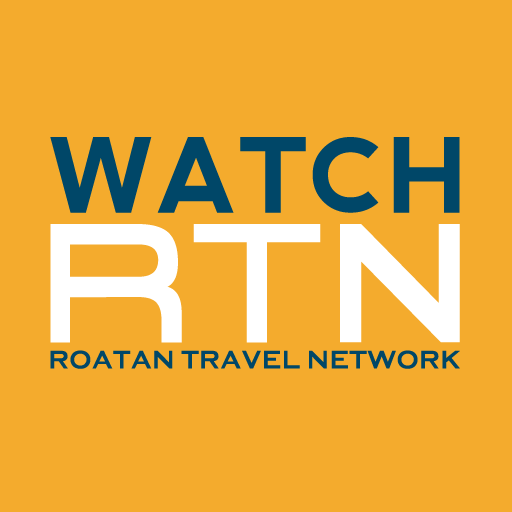 Roatan is still a place where a family-owned restaurant can succeed; a place where food is freshly prepared instead of being shipped from who knows where in the world. So in lieu of the huge international fast-food chains, Roatan does fast food in its own unique way. This is a word you will want to learn if you’re coming to Roatan: Baleada (say bah-lay-AH-da). A baleada is essentially a Honduran version of a taco: a homemade flour tortilla is pounded down and lightly grilled before being filled with refried beans, cheese, and cream (the cream is not quite butter, not quite sour cream). You can also add your choice of other toppings, from shredded chicken to spicy sausage, from steak to scrambled eggs. 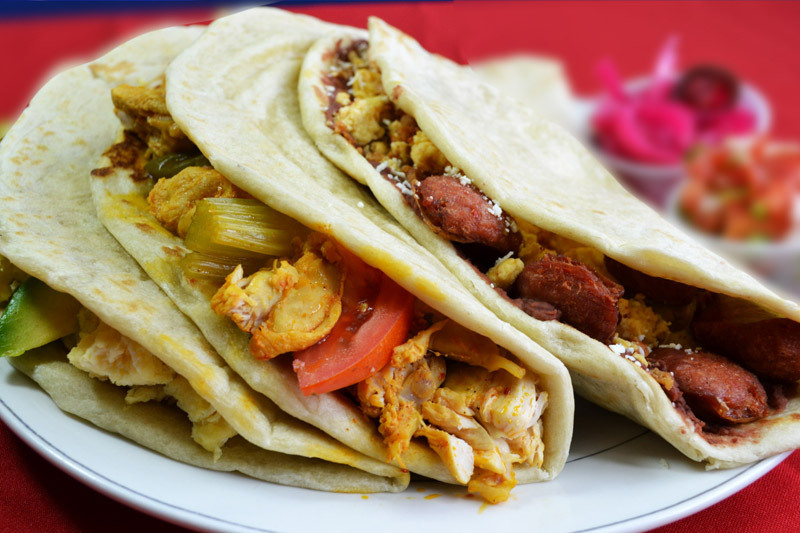 Breakfast baleadas might feature eggs and avocado, while lunch baleadas have chicken and sausage for a double whammy of protein amidst your obviously busy island schedule. Of course, after spending the afternoon frolicking in the ocean and on the beach, you’ll probably enjoy a few drinks at sunset. And the best quick snack to go with those sunset drinks is – of course – a baleada. A late-night baleada run will likely bring you to one of the pop-up street vendors grilling up some flavorful concoctions. Head to West End’s Half Moon Bay to enjoy the best steak baleada from the ladies on the beach. Don’t worry, you can’t miss them – you’ll smell the grill well before you see it and the crowd will let you know that it’s the best place to snag a snack. Fast food offers two benefits: it is cheap and it is quickly prepared, so you can grab a quick bite when you’re on the go or just when you’re low on cash. In Roatan, most baleadas sencillas (simple baleadas, which have just the basic beans, cheese, and cream) will cost you only about $1.50. The ones you load up will cost a bit more – perhaps stretching up to $5 if you jam-pack it like a burrito. Here’s another insider secret about Roatan’s baleadas…you can get excellent baleadas from the gas station. Sounds weird, right? But for a super cheap, tasty snack to go, head to PetroSun gas station. There is one just outside of West End, one in Flowers Bay, one in French Harbour next to Eldon’s, and another in front of Eldon’s on the main road in Coxen Hole. And – as always in Honduras – it is impolite to see someone eating and not wish them Buen provecho (say bwen pro-VAY-cho), which is equivalent to Bon appetit! Be sure to be polite and wish everyone Buen provecho before they dig into their delicious baleadas.